I can't seem to stop making bite-sized snacks at the moment! With so much going on with back to school and sports I feel the need to have snacks ready to go at any moment, who feels me?! LOL! The Best Energy Bites and Pumpkin Energy Bites so why not add in another one to the family? 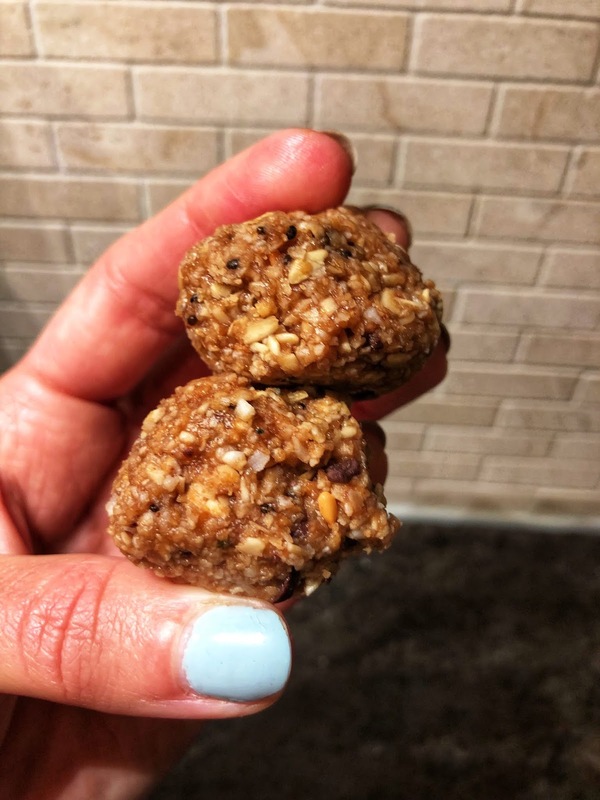 These balls come simply to make with ingredients you may already have on hand if you bake with my recipes often. Plus, you could easily get all of them from Trader Joe's too! I like to use their old fashioned gluten free oats for all my recipes. These are great to have on hand and not just for this recipe but for many others. 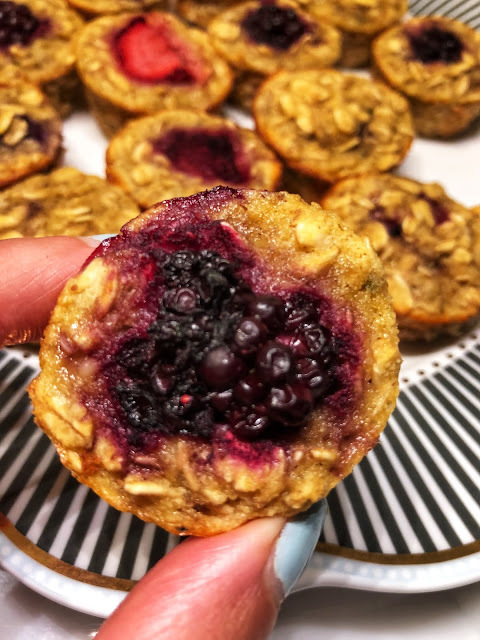 Plus you can use them to make oat flour or for actual oatmeal! 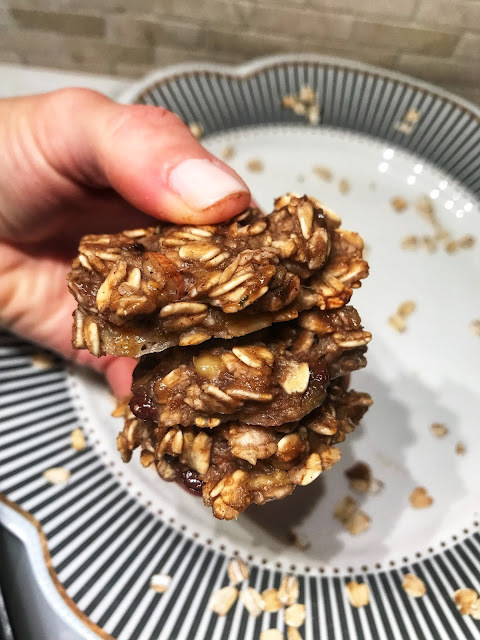 Also in this recipe are unsweetened coconut flakes, nut butter (can sub seed butter) flax meal, hemp seeds, honey (can sub maple syrup), chocolate chips (can sub cacao nibs too!) vanilla and a touch of salt to bring out all the yummy flavors. I also like to add a tsp of water into the mix to help everything stick together well. 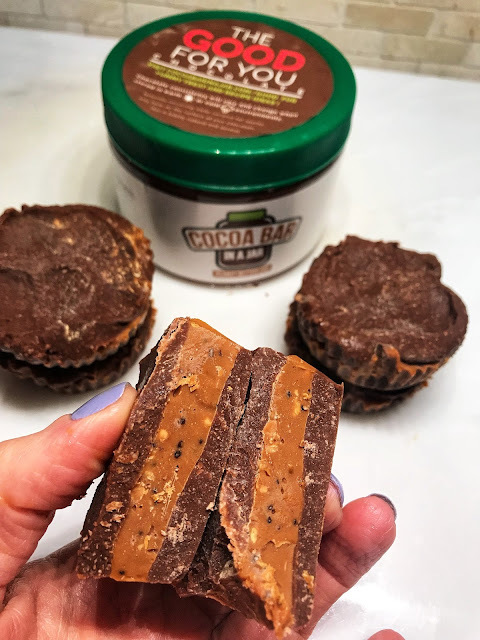 It may be just me but they tend to fall apart for me and I don't want to add more ingredients to drive up the calories so I tested with water and voila! It worked beautifully! AND the best thing about this recipe is that you can mix up and use what you like - cater it to your liking, or your kids, family, friends whoever! Think, raisins, dried fruit, pumpkin seeds, pumpkin (def using that in the Fall!) Possibilities are endless but be sure to keep it simple so they don't become too calorie dense. I got about 20 balls from this batch but it all depends on how big you make them. These should be kept in the fridge as you consume them. It's been over a week and we are still enjoying them. Great for pre/post workout too! Oh, you can even add in protein powder! See, endless possibilities! 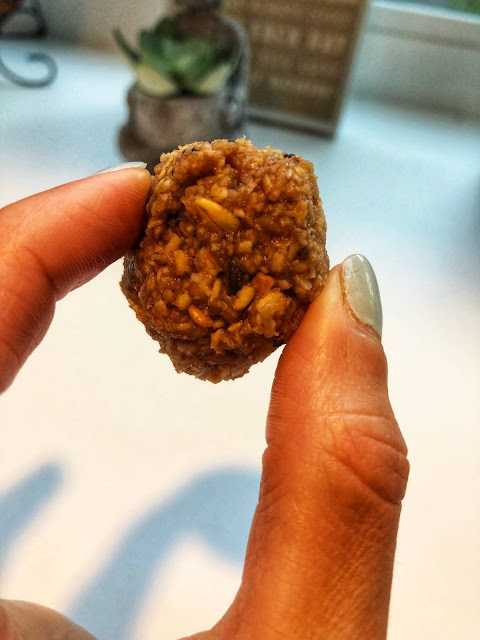 Don't forget to tag me on Instagram or connect with me in my private FB group My Fit Life Tribe to show me your Fit Life Energy Ball creations! I love to see what you are up to! 1. Place oats and coconut flakes in blender or food processor and pulse until ground well. 2. Add remaining ingredients except for water and mix again until blended well together. 3. Start to roll into balls. If the mix is too dry or crumbly this is when you start to add in the water and blend again. 4. Roll into 20-24 balls and freeze for 30 minutes. 5. Keep in fridge or freezer and enjoy!